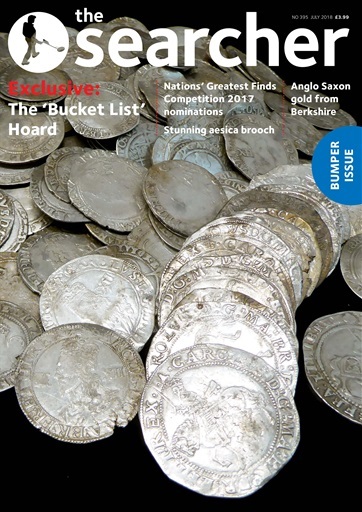 We have another bumper issue this month featuring on our cover an EXCLUSIVE account of a Civil War coin hoard, we have the finder’s personal account, our reporter from the findspot and the excavation of the pot at the British Museum. We also have the 2017 nominations for our Nations’ Greatest Finds competition which this year includes the Netherlands too! There is a fantastic Roman aesica brooch, Anglo Saxon items from Berkshire and much much more within this BUMPER issue!